Fylde DFAS members are looking forward to our February lecture, Tapestry – the ultimate wall decoration, by Dr Susan Kay-Williams. 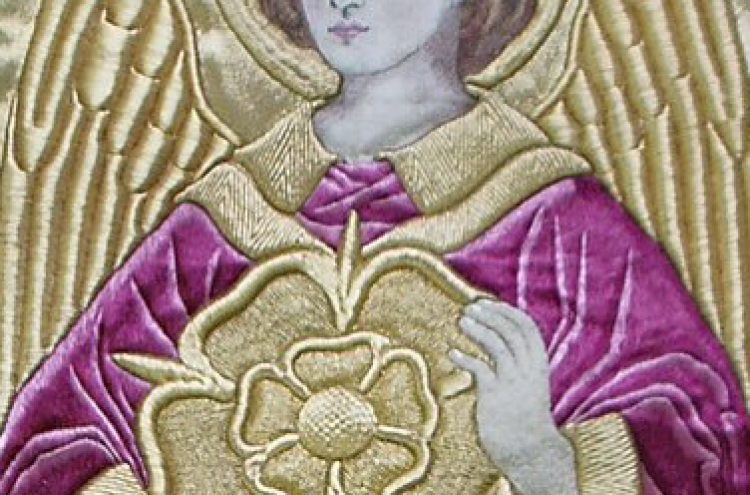 If needlework and embroidery are your thing then you will also be interested in For Worship & Glory, an exhibition by the Royal School of Needlework at Chester Cathedral. The exhibition, which runs from 3 – 29 February, includes more than 50 examples of ecclesiastical hand embroidery from the 18th to 20th century. This is a unique opportunity to view at close quarters a prestigious collection of work in the North of England. Dr Susan Kay-Williams, our lecturer on Wednesday 3 February 2016, is Chief Executive of the Royal School of Needlework, based at Hampton Court Palace. The lecture is open to non-members and costs £8 pp. Booking is essential 01253 736857.